Today we are happy to be able to offer you a web hosting package for an entire year, worth around a 100 USD, for free. Well, at least for the three lucky winners of our giveaway game. Let’s play, shall we? WebHostingBuzz is no stranger to those working in the web design field. It is often taken into account when a cost-effective solution is what has to be aimed for and is also able when it comes to reliable dedicated servers. 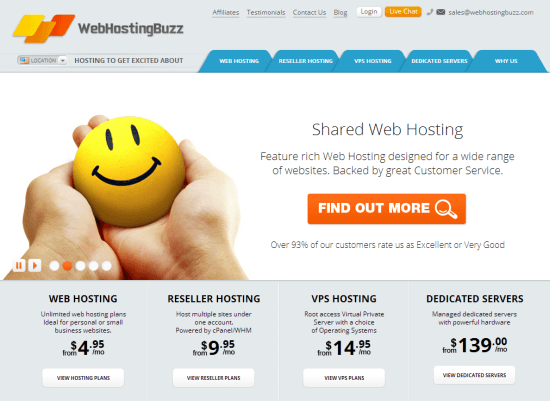 WebHostingBuzz was established a mere eleven years ago in the year 2002 and has been growing quite rapidly ever since. Nowadays WebHostingBuzz maintains over 250 servers in different data centers worldwide. 2009 saw the expansion from the United States to the European market, with servers located in the United Kingdom and the Netherlands. Today WebHostingBuzz counts over 250,000 websites from over 30,000 clients. The staff grew from two to a still comparably moderate 45 employees. WebHostingBuzz is not exactly big. There are much bigger hosting providers out there. 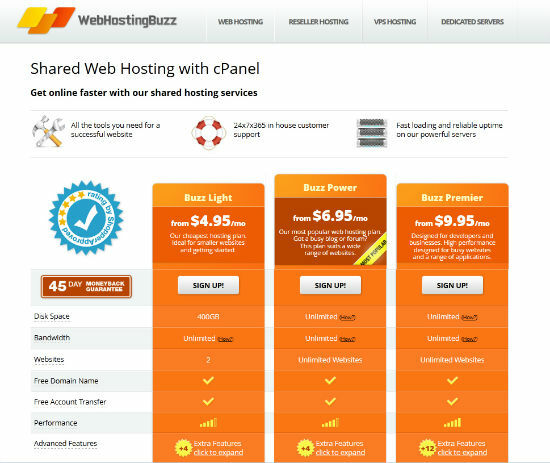 What sets WebHostingBuzz apart from the competition is the high degree of customer satisfaction. WebHostingBuzz’s support team is known to be legendary. The initial goal when WebHostingBuzz got established was to make good, fast web hosting backed up by great customer service affordable to anybody. And that is what they did. Besides virtual as well as dedicated servers and offers for resellers, WebHostingBuzz still goes strong with its different products in the field of shared hosting. You can choose between Buzz Light, Buzz Power and Buzz Premier, with Buzz Power being the most popular product. While Buzz Light sees a limit in disk space at 400 GB, the two other packages don’t. Bandwidth is not limited either. At a glance: Here are the features of what our three winners will get. The Buzz Power package can be booked for the low price of 6.95 USD per month on upwards, depending on how long you decide to tie yourself to the plan – the longer you do, the lesser the monthly price. To clarify the game once again: Three winners will get a one year subscription to the Buzz Power package for absolutely free. While the Google vouchers are limited to US and Canadian accounts, the giveaway is free for all to partake internationally. So, our readers from e.g. India will still be able to use the full range of features, with the only exception of the Google vouchers. All you need to do is answer the following two questions correctly and leave us a name and an email adress, so that we can connect with you in case you win. The game runs until April 30th, 2013, at 6 PM (UTC+1). Three winners will be drawn at random from all correct entries. Oh! Why not to shout Thanks to Noupe.com !! Never heard of these guys before, looks good! Thanks for posting. I have answered the question and I hope I win :). Congrats. You will be contacted by WHB directly via the given email address.